4 star rated Apartments Situated conveniently close to all of the major commercial and industrial areas in Melbourne's eastern suburbs, Quest Knox, Melbourne combines a range of spacious apartments with facilities to suit business and leisure travellers. 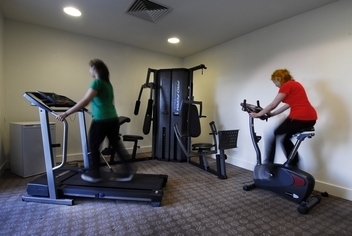 Facilities include outdoor swimming pool, external health club, golf course near by, shopping centre nearby, reception daily, dry cleaning service, wheelchair access, baby sitting service, smoke free rooms, newspapers available, and more. 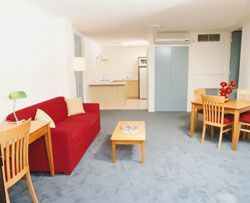 Golden Pebble Hotel is one of the most unique hotels in Melbourne's Eastern Suburbs. All modern facilities are provided to be able to cater and satisfy a busy corporate traveler or just as a relaxing getaway for the traveling overnight person. Our attentive, willing and able staff will make all the difference and allow you to feel like you are in a home away from home. We have lifts to all floors, handicap facilities, non smoking rooms and a sheltered drive in porch entrance which were all designed to make your stay more comfortable and care free. Situated only 26 kilometres from Melbourne CBD, Quest Knox offers both the corporate and leisure traveller a convenient location close to all major commercial and industrial areas in the eastern suburbs. The property offers a choice of studio, one and two bedroom serviced apartments each superbly furnished and offering spacious living for short and long term stays.